The translation and interpreting industries have been blessed with a plethora of new books in the last few years. The book I’m going to talk to you about is mostly for new translators and interpreters, curious to explore and eager to learn more about their communities. Let’s see the basics of the book first. The author starts by listing some types of linguistic services, including a few less “traditional” ones, like copywriting and desktop publishing. That list briefly outlines all the exciting opportunities awaiting recently graduated linguists, seasoned translators looking to specialize in a new type of service, or even non-linguists looking for a career change. 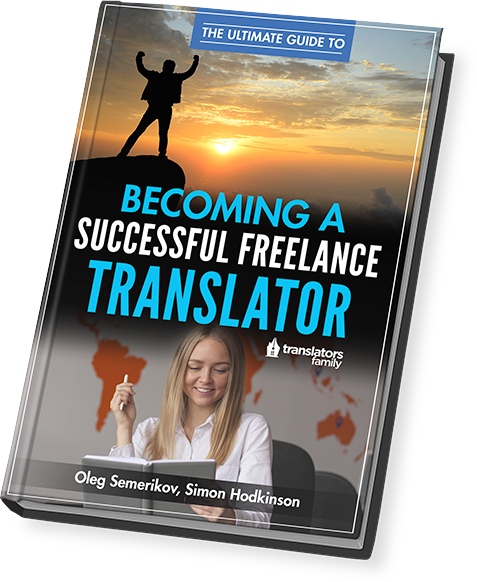 In “Getting on your feet,” Oleg explains what being a freelance translator entails and what it takes to be a freelance translator (being fluent in two languages is not enough, sorry). I quite like that part; it’s useful for all those second cousins and my mum’s friends’ children who ask if they can be a translator like me. Instead of spending 20 minutes on the phone explaining why it doesn’t sound like a good idea (because not one of those people ever had anything to do with languages and no future whatsoever as a translator), I could have just recited the following list. To be a freelance translator, the following is required: native speaker of target language, fluency in source language, specialist subject knowledge (you can’t just translate anything and everything), advanced training (university, classes, qualifications, accreditations), working experience, key skills (linguistic and others), professionalism (you’re a business after all). In “Client relationships,” Oleg starts with explaining the difference between translation agencies and direct clients. The focus then stays on agencies: how to maintain a good relationship, how to research them to avoid non-payers, how to trust them. There’s also a part about rates with specific examples, which is quite rare to find in books about translation; however, it mostly covers translation agency rates and only translation, not the other types of linguistic services. This chapter closes with a very interesting section: what to ask your client before starting a translation project. I remember creating a checklist like that already four or five years into my translation career, a standard template to include in emails or to ask over the phone during initial client enquiries. Apart from this first set of questions, Oleg also focuses on the importance of asking questions during translation projects and provides examples. “Marketing yourself” starts with an important principle: being a freelance translator means running your own business. And believe me, this, along with knowing your own value, takes a while to sink in, especially at the beginning of a translator’s career. This part includes tips on building a translation portfolio, how to use social media for business, and how to find your USPs (unique selling points, which means the combination of features that make your business special). In “Languages and you,” the author describes some of the different markets or niches a translator can specialize in: video games, technical (including tips for readable technical translations), marketing, literary. Then, he explores ways of keeping up with our source and target languages and mentions some reference tools for English. “Practical matters” starts with a few tips from freelance translators. My favorite was Clara’s secret to a happy work life, the four Cs: composure, calm, caffeine and cake. Have you seen that image of a cityscape at night and an apartment building with only one light on? That’s probably a translator working! In the first three to four years of my translation career, I spent more nights and weekends working than I want to admit. Then, I finally learned how to say no and how to put family time and my health over work. Oleg calls this “capacity management” and offers helpful tips. Next comes a section on SEO (search engine optimization), another quite interesting niche for translators, especially for marketing translators and website localizers. “The lighter side of translation” includes a brief history of translation, how to work from home away from home (digital nomads), and how we can beat the loneliness of freelancing (co-working is on the rise and the options are endless). An important part of this book is the appendix, which includes useful resources for translators. I’m a big fan of lists; I love to explore resources and this section was like Christmas morning for me. Quick list of the resources mentioned: CAT and QA tools, online glossaries, thesauruses and encyclopedias, dictionaries and glossaries by subject, translation blogs (The Savvy Newcomer is there too; thanks Oleg! 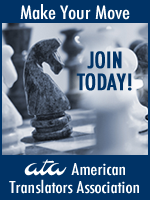 ), podcasts for translators, popular LinkedIn and Facebook groups for translators, webinars and annual conferences, worldwide associations for translators and interpreters, and a list of the 100 largest translation companies according to the Common Sense Advisory 2016 report. Overall, I liked the book. I think it’s a good read, especially for newbies in the translation industry. Nonacademic books that focus on the translation business can be overwhelming in some cases, because they cover so many aspects and you might think, “How am I supposed to do all that, fresh out of university?” The writing style in this book feels more personal, like reading a blog. Have you read the book? Did it help or inspire you in any way? Any other similar books that you enjoyed reading and would like to recommend for our future book reviews?